Bob Walker passed his Private Pilot checkride with DPE Henry Joyner @ KASJ on July 20, 2017. 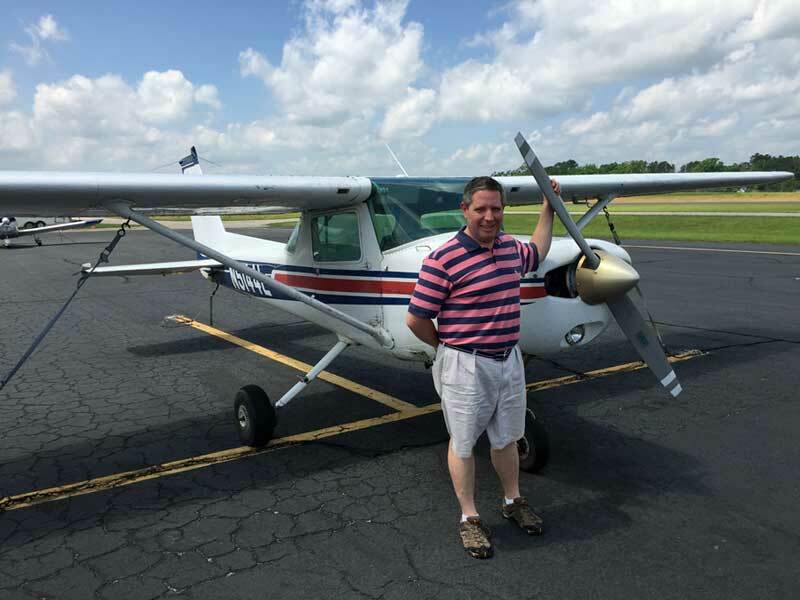 Here’s a pic of Bob after his first solo flight at the Henderson-Oxford Airport KHNZ in our Cessna 152 in May 2017. Well done Bob!